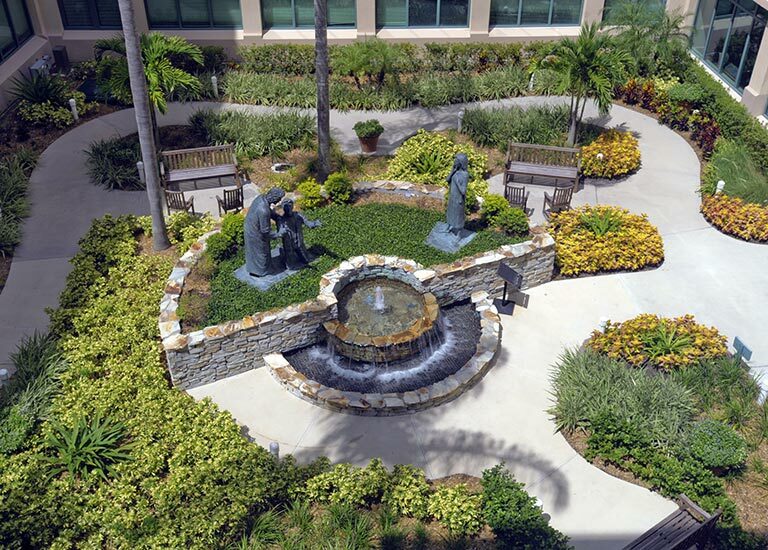 Therapeutic gardens are a way for patients, visitors, and staff alike to recharge in healthcare settings. Photo: CelebrationHealth. License: CC BY-SA 3.0. Have you brought flowers to someone in the hospital? It turns out that this age-old practice is on sound scientific footing: many peer-reviewed studies show that natural beauty helps people heal faster. EBD is applicable in any building type where specific outcomes can be studied and measured. Here you’ll find guidance not only on what works but also on why it works. Can the fields of cognitive science and neuroscience improve the built environment? Those studying neuroarchitecture think so. With demand for healthy buildings on the rise, interior designers are developing protocols to put principles into practice. Employees with windows in their offices had healthier lifestyles and got more rest at night, researchers say. Healing gardens make hospitals more humane and contribute to healing and sustainable design-as well as the facility's bottom line.